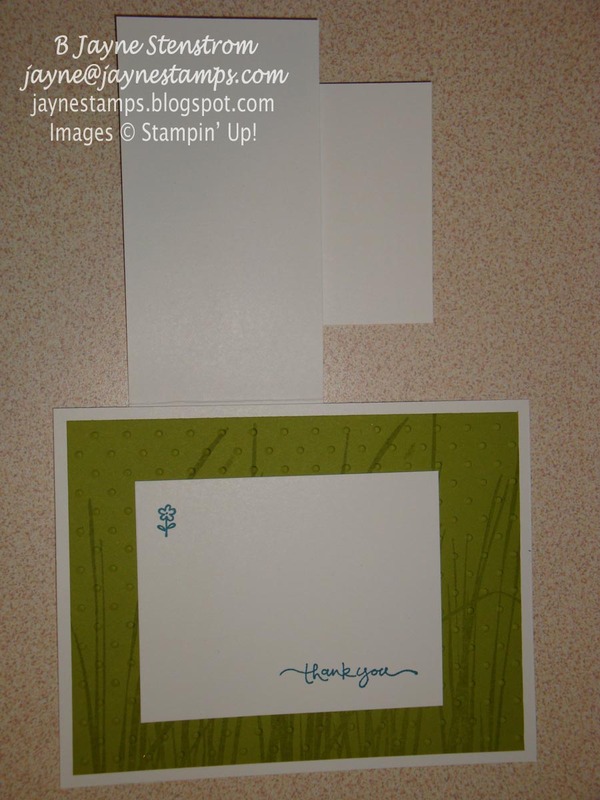 Here are the final cards that I received in the VC Rocks swap at Convention. 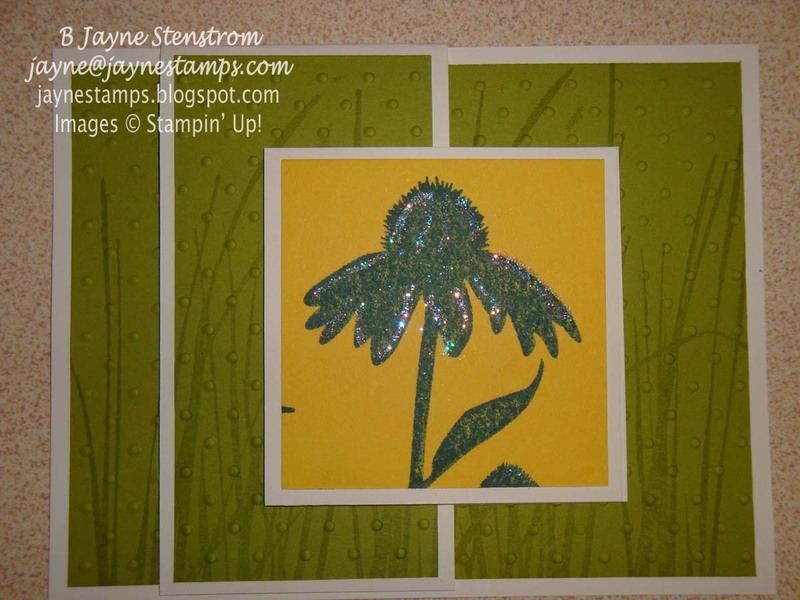 Next up is a monochromatic card made by Tory Bray using My Friend. The colors are Calypso Coral and Basic Black. 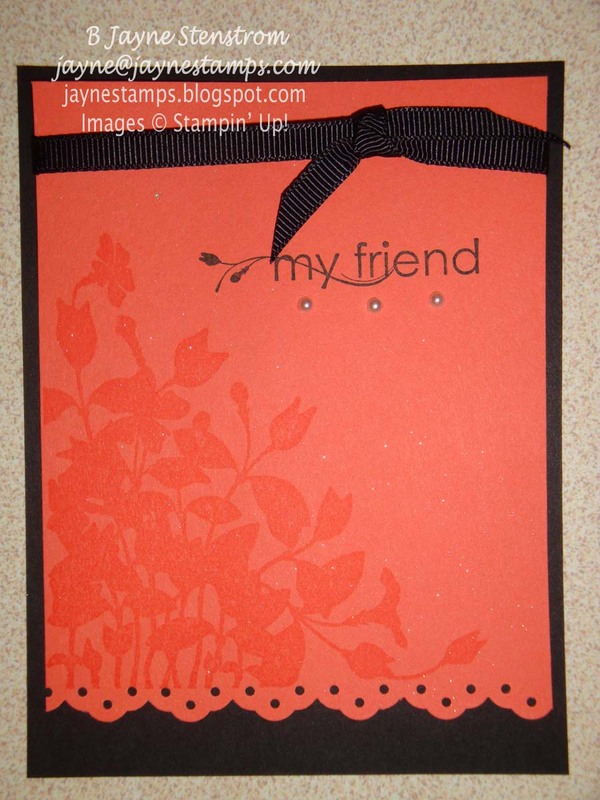 The Eyelet Border Punch at the bottom gives a little added interest, as do the Basic Pearls under the saying and the black ribbon at the top. The unique way that it opens! What a fun surprise! 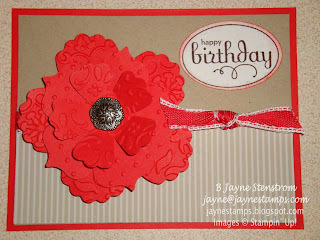 Oh yes, I thought I should show you my card. 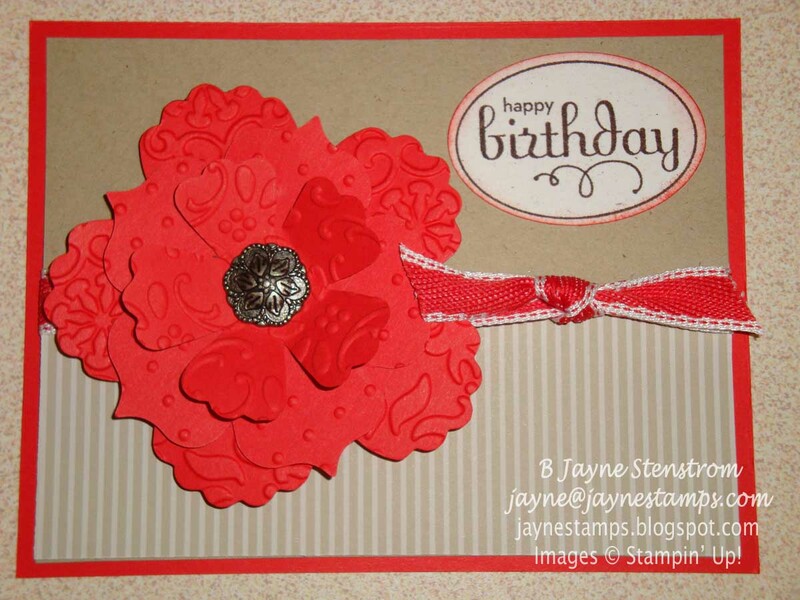 It's also a monochromatic card made with Poppy Parade and Crumb Cake cardstock. 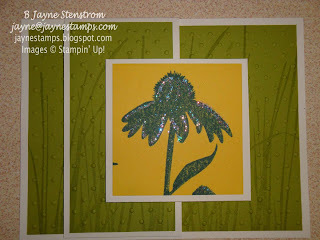 I used the Fun Flowers Bigz L Die and ran each flower layer through a different Textured Impressions Embossing Folder. (In case you can't tell, I used the Vintage Wallpaper, Perfect Polka Dots, and Finial Press folders.) 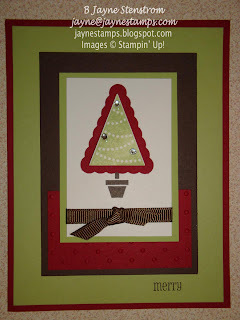 The saying is from Perfect Punches and is punched out with the Extra-Large Oval Punch. 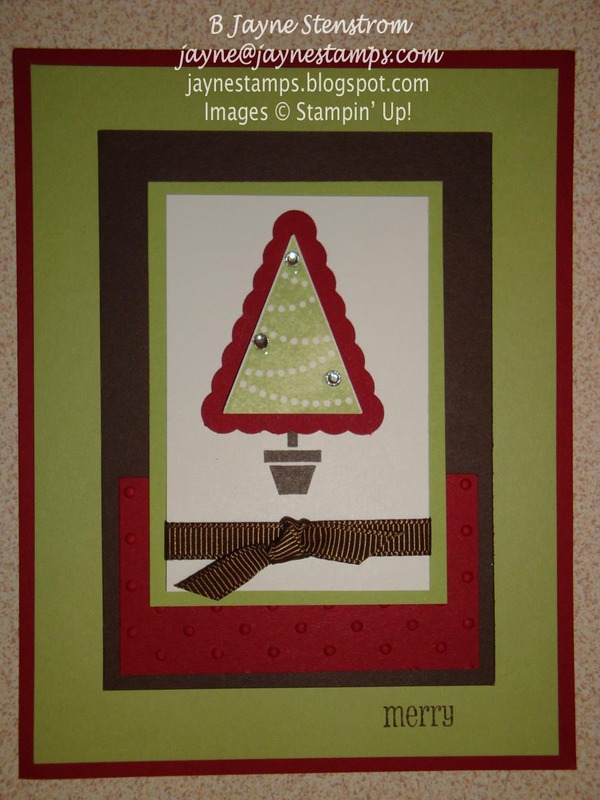 I also used the Neutrals Collection Patterns Designer Series Paper Stack, Antique Brads, Poppy Parade 1/2" Stitched-Poly Ribbon, and sponges. 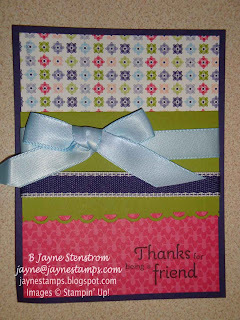 So over the past few days I've shown you about 15 card samples. 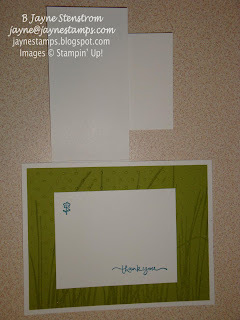 Now don't tell me you don't have any ideas on what to stamp! I hope you've enjoyed seeing these cards. It was so much fun to meet all of these ladies in person. I'm sure we'll keep in touch via e-mail and the Yahoo Groups we're on! This is just another one of those great perks of being a Stampin' Up! demonstrator. You meet so many wonderful people and create lasting friendships. If you'd like to be a part of the fun, contact me and I'll be happy to answer any questions you might have!